Start your Hawaii vacation off with a lei greeting on one of the Hawaiian Islands by one of our Hawaii lei greeters. Arrange a traditional Hawaii lei greeting for your arrival at the International airport at any of the Hawaii airports including locations for a Honolulu lei greeting, Maui lei greeting, Kona lei greeting, or a Kauai lei greeting! Your Hawaiian airport lei greeting is a symbol of aloha, welcome and love in Hawaii. Your Hawaii lei greeter, who is dressed in Hawaii attire will offer assistance to baggage claim. Lei-Greeting.com which is part of the Hawaii Discount and Hawaiian Lei Greetings family is Hawaii's leading airport lei greeting company because of our outstanding customer service and superior fresh flower leis. 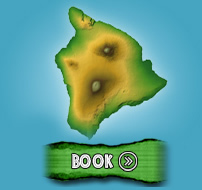 Be sure to arrange a greeting for your upcoming Hawaiian vacation. This is a great way to start out your Hawaii adventure before you start your Hawaii activities. A lei greeting makes a delightful gift for anyone you'd like to arrange a special flower lei greeting welcome for. 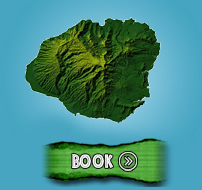 Whether you want the greeting at the Kahului Maui Airport, Honolulu Airport on Oahu, the Lihue Airport on Kauai, or the Kona Airport on the Big Island of Hawaii, all you need to place your Lei Greeting order is the arriving flight information and the names of the recipients. We will meet and greet them with a welcome sign with their names of Group name. Lei-Greeting.com is one of the only companies with the credentials to greet you right at your gate when landing in Honolulu. You'll be able to relax upon arrival to Oahu as your Oahu lei greeter helps you navigate the airport and answers any questions you may have. You are met right outside your gate for the other Hawaii airport locations. A lei greeting sets the tone for your entire vacation. 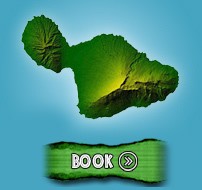 It's a great way to start your vacation on the Hawaiian Islands! 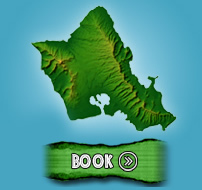 Save now through Lei-Greeting.com and order your Hawaii airport lei greeting. If you have any questions please call us at 1-866-482-9775. Mahalo, we look forward to meeting you.